Steve Martin and Martin Short tickets on sale Friday! 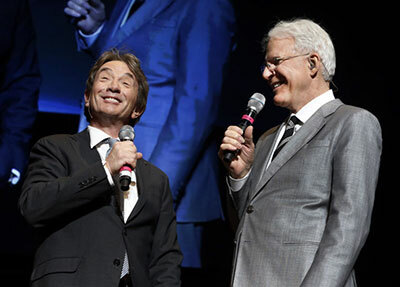 Steve Martin and Martin Short are coming to the INB for a one night only show Thursday, October 20. The show includes stand-up, film clips, musical numbers and conversations about their lives in show business. Tickets are on sale this Friday, August 19. Ticketswest has yours at www.ticketswest.com or 800-325-SEAT. 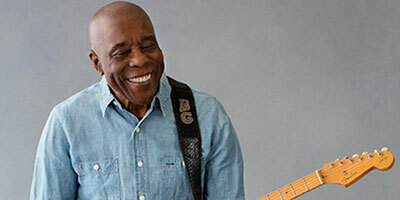 Six-time Grammy-Award winner and Rock and Roll Hall of Fame inductee, blues icon Buddy Guy plays at Martin Woldson Theater at the Fox, 7:30pm this Sunday, August 21. Tickets range from $51--98 at www.sblentertainment.com or by phone at the venue box office at 800-325-SEAT. Enjoy the music of the Spokane Symphony as they present a 2-concert series starting tonight, August 17. The series is 'Soiree on the Edge' and features the Spokane Symphony musicians and Music Director Eckart Preu. Tonight's concert theme is 'Symphonic Vistas' and includes the music of Mendelssohn, Mozart and Nyman. Pack your own picnic and sip Arbor Crest wines. Meals are also available for purchase. The 2nd and last concert in this series is next Wednesday, August 24. Music runs from 7-9pm on both nights. This concert is for those ages 21 and up. For ticket prices to one or both of these special concerts, visit www.ticketswest.com or call 509-624-1200. For more concert information, visit www.spokanesymphony.org. This Friday, August 19, enjoy the music of Michael & Keleren at the Park Bench Cafe in Manito Park. Music runs from 6-8pm and food, beverages and beer are available for purchase. This is last summer concert of the season, so don't miss it! The 'Maid in the Shade' B-25 World War 2 bomber is at the Coeur d'Alene Airport, at 10375 Sensor Ave. in Hayden, and is open for tours this week, 9am to 5pm through this Sunday, August 21. They are also booking flights Friday through Sunday. The 'Maid in the Shade' is visiting North Idaho as part of the Flying Legends of Victory Tour and is one of the Commemorative Air Force's combat aircraft from its world-famous flying museum. A $5 tour donation is requested. Flights are $395 or $650 for a bombardier seat and space is limited. On Sunday, the Coeur d'Alene Aviation Club 1254 is inviting several different classic car clubs to bring their vintage vehicles and have photos taken in front of the B-25 for a $10 donation. A pancake breakfast will take place from 8-10am for $7 and hamburgers will be served from 10am to 1pm for $5. 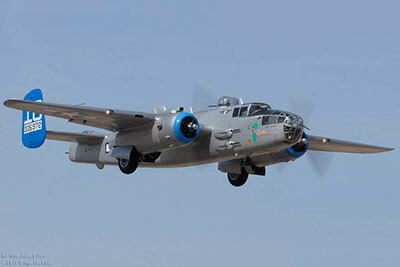 For information about flights, call 480-322-5503 or email B25RC@azcaf.org. Australian superstars 5 Seconds of Summer bring their Sounds Live Feels Live tour to the Spokane Arena, Tuesday, August 30 at 7:30pm. Thursday's 'Patio Performers' concert series continues at Arbor Crest and this Thursday, August 18, Spare Parts Trio performs from 5:30-7:30. Photography by Craig Goodwin will be on display. On Friday, August 19, Ron Greene is guest performer from 5:30-7:30. No cover charge for Thursday or Friday concerts. And on Sunday, August 21, The High Street Band performs. Music runs from 5:30 to sunset, and there is an $8 cover charge. Arbor Crest wines, beer and food available for purchase. Visit arborcrest.com. 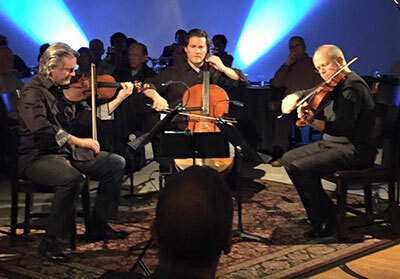 The Annual Northwest Bach Festival & Series presented by Connoisseur Concerts is expanding into a year-round presenter of classical music concerts, first by adding to the two-week February/March Festival, a December Winter Classics Regional Tour and now introducing SummerFest Regional Tour with concerts in Walla Walla, Spokane, and Coeur d'Alene, running August 26-31. Wednesday, August 31, (SOLD OUT) 7:30pm - Concert at Historic Penthouse at the Paulsen, 421 W. Riverside Ave., Spokane. This concert is SOLD OUT. 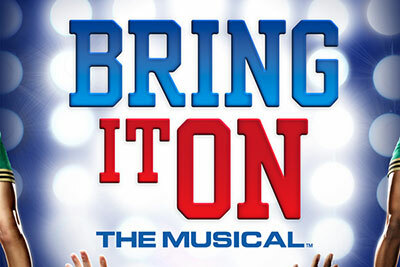 Spokane Valley Summer Theatre presents Bring It On! tomorrow, Thursday, August 18 through Sunday, August 21 in the Central Valley Performing Arts Center at 821 S. Sullivan Road, Spokane Valley. An athletic explosion of dance, high-energy musical numbers and clever wit. The heart of this production goes beyond the goal of winning the Cheerleading National Championship. The journey is far greater than the destination and the meaning of true friendship is discovered along the way. This production features 26 actor/singer/dancers from the greater Spokane area upper middle, high school and colleges. With a full live orchestra, there are also two vocal features by professional artists Robby French and Andrea Olsen. Tickets are available at svsummertheatre.com or through the box office 509-368-7897. Bring It On is directed by Executive Artistic Director, Yvonne A.K. Johnson and choreographed/stunt coached by Ashley Gunn and Ali Waid. Music Direction by David Brewster, Set design by Michael J. Muzatko and Costume Design by Shweta Green. The Spokane Valley Summer Theatre is a professional, not for profit 501c3 summer theatre and acting conservatory for young people ages 6-21. For interview scheduling please contact Yvonne A.K. Johnson at 414-699-8255 or by email yvonne@svsummertheatre.com. The Arbor Crest Art & Glass Fest will be held on Saturday & Sunday, August 27 & 28. It will be a full day celebration of art, music and wine on the Cliff House Estate. Hours are 11am to 6pm. Over 50 vendors will be participating. Admission is free. Live music both days: North Point Latin Jazz on Saturday from 1-5, no cover. And on Sunday, Sara Brown Band performs from 5:30-sunset, $8 cover charge. The World's Biggest ABBA Tribute Show, ARRIVAL FROM SWEDEN, is coming to The Coeur d'Alene Resort Friday, October 7 at 8pm. Tickets are on sale now. Go to cdaresort.com to get yours. It's time to celebrate three of Spokane's favorite things: The Northwest Museum of Arts & Culture is 100 this year, Coeur d'Alene Park (Spokane's first public park) is 125, and the Park's Summer Concert series is 20! To mark these anniversaries, there will be a free concert on Thursday, August 18th from 6-8pm with Spokane Brassworks at 2nd and Spruce in Browne's Addition. 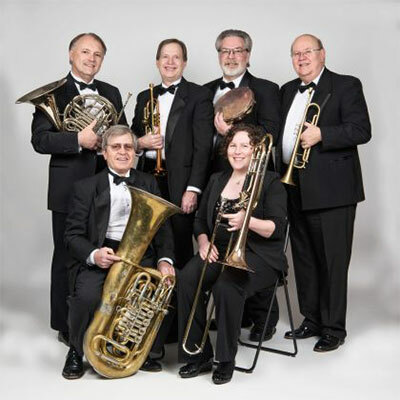 Spokane Brassworks is a six-member ensemble that consists of two trumpets: Larry Jess and Andy Plamondon, horn: Chuck Karshney, trombone: Jenny Kellogg, tuba: Jerry Olson; and percussion: Paul Raymond. For more information, contact the Museum at 509-456-3931. This Saturday, August 20 at 5pm, Friends of Pavillion Park present the Montana Shakespeare in the Parks play 'The Comedy of Errors'. Admission to the performance is free. Audiences are encouraged to show early with chairs, blankets, a picnic supper, and friends and family to enjoy the evening. Concessions will be available through the Liberty Lake Kiwanis. This is the 43rd season for the touring company, whose performances have become a summer tradition and seasonal highlight for many rural communities. This year, the troupe expects to perform 75 performances in 60 communities in the region. 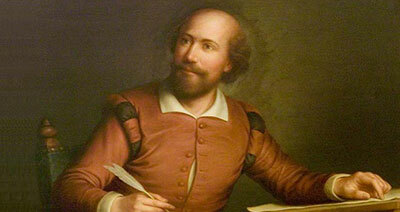 Additional information can be found at shakespeareintheparks.org. Spokarnage: A Killer Roller Derby Tournament is back for its fourth year, this Friday through Sunday, August 19-21 at the Spokane Convention Center. With team names like Snake Pit Derby Dames and Smokin' Laces, this tournament brings a diverse group of women together to share a weekend of derby mayhem. The tournament will include a team from Alaska as well as a men's exhibition game on Sunday morning, followed by an All-Star bout. Spokarnage is one of the largest roller derby tournaments in the northwest with 20 teams and nearly 400 skaters. Two tracks will be set up inside the Spokane Convention Center, kicking off with half hour bouts Friday. Regulation length bouts will continue Saturday and Sunday, wrapping up with the championship bout on Sunday afternoon. Tickets are now on sale through Ticketswest at www.ticketswest.com or 800-325-SEAT.